Today we’re going to be looking at TP-Link’s newest AC1900 router, the TP-Link Archer C9 . Featuring dual band AC and 4 gigabit connections with three detachable antennas, USB 3.0 and USB 2.0 ports, as well as beam -forming technology, it’s one of the fastest routers out today. Awesome technology aside, there are a few other reasons why this router rocks. Although they may not be as exciting as flat screens or the newest smartphone, routers are still vital to our lives. If you don’t own a newer generation version, you might be missing out. The truth is, most of us take routers for granted. We don’t really even think of them until our connection goes down and we’re left scrambling. On top of that, these days, most cable and internet companies even include a modem with built in WiFi. So why do you even need a new router anyway? The truth is, old routers and the ones that come bundled with your internet aren’t up to the task of today’s heavy users or even the standard internet-connected family. Many routers don’t have the coverage or the power to do everything they’re supposed to, and unless you’re running only a couple of devices, trust me, you need something better. Don’t believe me? Let’s look at today’s modern middle income family. Nearly everyone in the family has a smartphone. A lot of families also have an internet-connected game console (or two) and a portable gaming device like a 3DS, PSP or maybe an iPod for the kids. Let’s not forget media streaming devices like an Apple TV, Roku, Amazon Fire TV or even an Android stick like the Chromecast. Don’t have any of those? Well I bet then there’s a good chance you have at least one smart tv. These days, it’s also common to find a tablet or two in the home, and it’s not unusual for a middle income family of four to have a laptop and an old computer kicking around, since even ones made 7 or 8 years ago are still fine for checking emails, surfing the web and writing out the occasional book report. You might also have a wireless printer to make printing from all your devices a little easier. If you’re really well connected, you might even have a few WiFi enabled lights, maybe a wireless security system or maybe even a WiFi thermostat like a Nest or a WiFi smoke detector. Put that all together and there could easily be 10 to 20 devices all permanently connected to the internet via your router. Now what happens when all those devices connect at the same time? Can your router handle it or are you constantly having to reboot the thing to ensure everyone can get on and stay on? That’s the problem we were having with our old router. It was great for its day, but times changed and our WiFi needs have grown. We have more WiFi devices than ever and as soon as friends or family stop by it’s that much more load on the system. Not only do we need stability in a router, having a router that uses the latest technology lets us maximize our download and streaming speeds. What’s the use of paying for decent internet if your router can’t support it? You also want a wireless router powerful enough to reach those hard to reach corners of your home or office. How annoying is it that you can’t get a decent signal even one floor above your router, or the signal is so weak that it cuts out all the time. 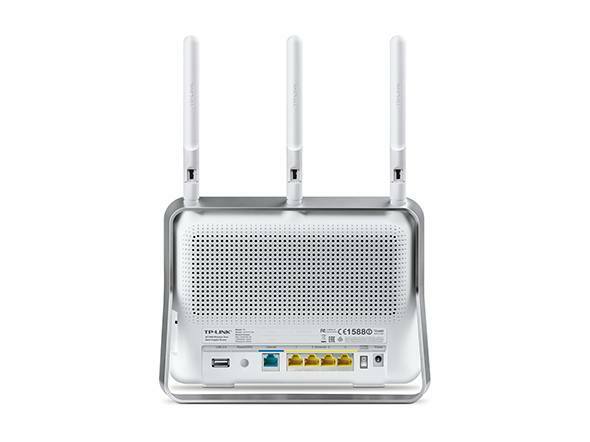 Well, it was high time for us to look at other options and after doing a bit of research, we decided the TP-Link Archer C9 router was the device for us. We’ve owned over a dozen routers over the years. At one point I had five of them running to ensure I could get a signal in every corner of our place. We also used a few as access points for devices with only an ethernet connection. Thankfully, those days are behind us and most devices today have their own WiFi chip in them and with a good router in a decent position, you can easily get by with one solid router. In terms of stability, I’ve actually held off writing this Archer C9 review simply because I wanted to see how stable this router is. After 2 1/2 months of solid use without a reboot, I can easily say it passed the stability test. I haven’t seen any devices get disconnected in that timeframe and none have had slow downs or other random connection issues either. In terms of power, this thing is also a powerhouse with dual band wireless AC1900 with speeds of 600 Mbps @ 2.4GHz and 1300 Mbps @ 5GHz. What that means to anyone that doesn’t speak geek is that it uses today’s newest WiFi technology to give you lots of range, lots of speed and lots of options. It also has one USB 3.0 port and one USB 2.0 port so you can connect a printer or an external hard drive to it so you can share all your media and pictures with all your devices. You can also use the hard drive as a backup option for your computers and laptops. Another feature of the Archer C9 is that it includes the option to run a guest network parallel to your existing system. That means that when guests come over they can quickly hook up to your internet with a simpler password and they won’t have access to your internal network. It’s a great feature and protects your network from prying eyes. Since our router is sitting in our home office, we connect our computers directly to it via the gigabit ports and transferring files from one laptop to the other is ridiculously fast. So much so that sometimes we even forget the file we’re working on isn’t local. 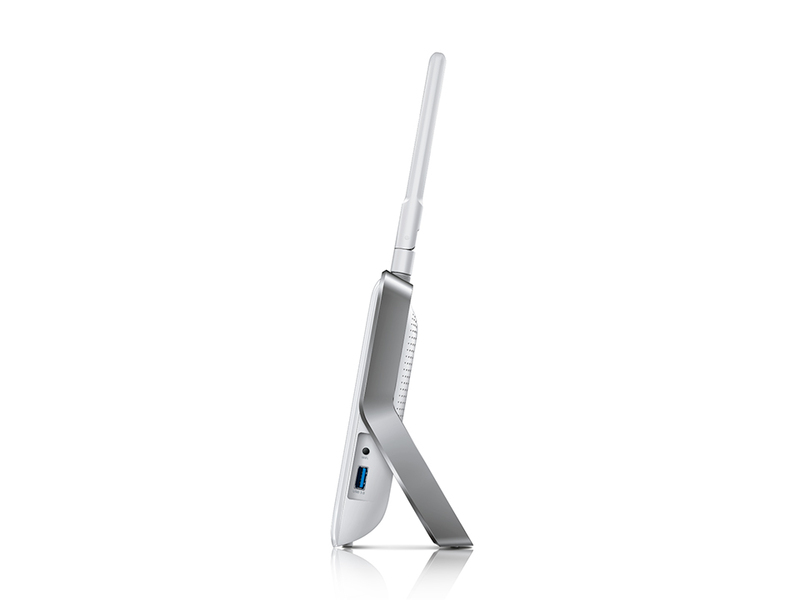 I can go on and on about its beam forming abilities (to enhance speeds), its 3 powerful detachable antennas, the fact that it looks pretty cool, the fact that it has an easy to use phone app (TP-Link Tether) and the plethora of advanced options like IP based QoS, IPv6 and DD-WRT compatibility, but for the average user, the most important thing about this router is that it just works well and once it’s set up, you won’t have to worry about it going down. So far I’ve found the TP-Link Archer C9 fast and it provides great coverage throughout the house. To be honest, what really sold me on the Archer C9 is that it’s stable and reliable. That’s even more important to me than any of it’s many features because the best routers are the ones you don’t ever have to worry about. The Archer C9 just works and it does that so well that it’s probably the best router I’ve ever owned. Do I recommend it? In a word, yup. TP-Link is a well known brand and the TP-Link Archer C7 is another great option for those trying to save a few extra dollars. It’s not as powerful as the Archer C9, however it’s very stable and tops many router Top 10 lists. If you’re unsure, you could always get the Archer C8, however the Archer C9 is often on sale for a similar price so you’d be better off getting the Archer C7 if money is tight or waiting for a sale on the Archer C9 if you want the most power. 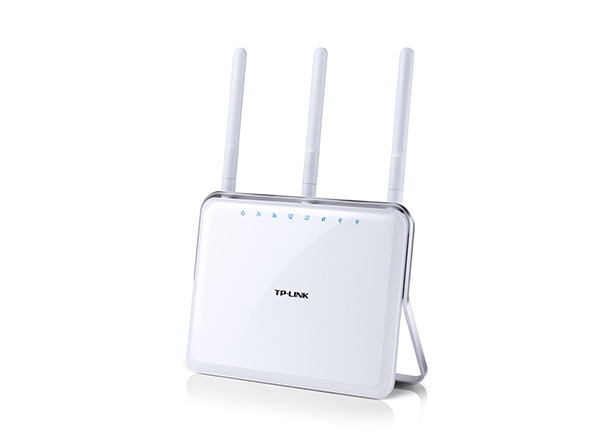 TP-link is one best router maker in the industry. Because of the quality and the easy handling. So TP links Archer-C( Pro is one of the best. So how to configure and install it anyone can visit our site.